Here I am with another cookie dough recipe. If you couldn’t tell already I’m sort of a cookie dough addict. Whenever my husband and I go to our favorite frozen yogurt spot, my top two choices for toppings are the cookie dough and cake pieces. The last time we were in they even had chocolate cookie dough! You should have seen how excited I got, my husband was probably a little embarrassed and the people around me may have thought I had a slight problem. I didn’t care though, this just meant that now I could put two kinds of cookie dough on my yogurt! Ever since discovering that I could make cookie dough in a healthier way my mind has been running like crazy thinking of all the ways, shapes, forms, and flavors I can make it. These truffles are my latest experiment. I love little bite sized desserts, so making a cookie dough truffle was the perfect dessert for me. I decided to drizzle the chocolate over the cookie dough ball instead of coating the whole thing because I’m not a huge chocolate fan. Yes, I am aware that not being a chocolate lover is a sin. I’m one of those people whole likes my chocolate chip cookies with minimal amounts of chocolate chips and more of just the cookie dough. I hope by admitting this flaw that I won’t lose any readers…please forgive me! For all of you normal people out there who love chocolate, by all means slather these in chocolate! 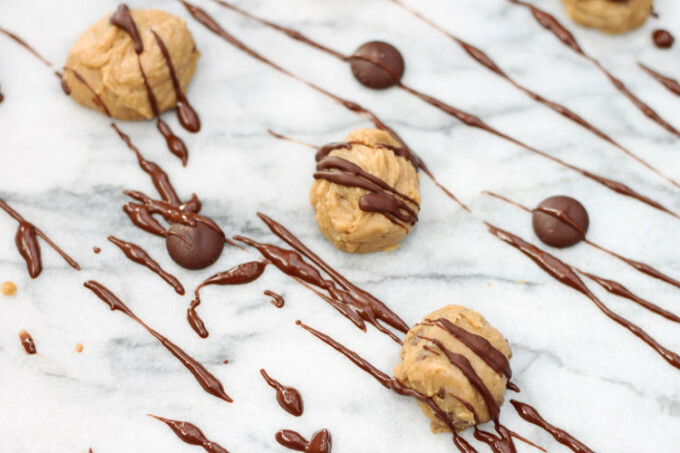 Making these truffles was quite similar to how I made my Biscoff Cookie Dough Dip. 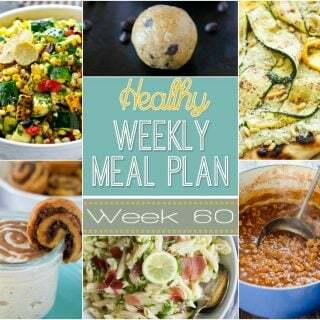 If you haven’t made that yet, do it, NOW! 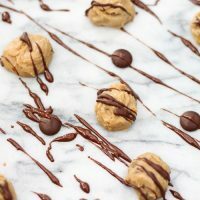 The base of these truffles is a can of chickpeas and the cookie dough flavor (which certainly isn’t coming from the beans) comes from the vanilla, honey, brown sugar, oats, and just a pinch of cinnamon. I was amazed how the cinnamon added just a little extra cookie flavor to these truffles. The most difficult part about making these was forming them into a ball shape. They are very sticky after all the ingredients are blended together. To help remedy this I stuck the “dough” in the refrigerator for about 15 minutes to help it firm up a little. 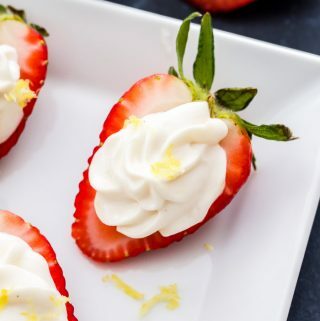 Before you drizzle them with chocolate, stick them in the freezer, covered, for at least 30 minutes. My husband and I were popping these little balls of cookie dough deliciousness in our mouths like they were going out of style! I only felt slightly guilty about the large quantity of them that I ate, but justified if by saying that I was getting a lot of fiber and protein. 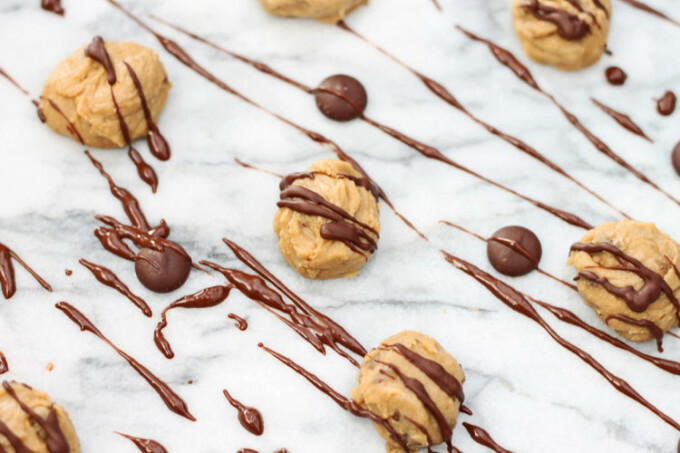 If you love cookie dough and truffles, but only want half the amount of guilt, give these a try, they are sure to satisfy your craving! In a food processor or high speed blender (I used my Vitamix) add all of the ingredients except the chocolate chips and blend until smooth. 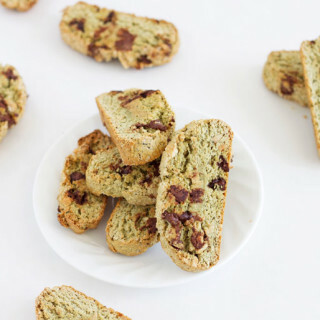 Once the mixture is smooth, pour into a mixing bowl and fold in the 2 tablespoons of chocolate chips. Cover the cookie dough mixture and refrigerate for 15 minutes or until the dough has firmed up slightly. Form the dough into 1/2-1 inch balls and place on a cookie sheet or plate. Cover the balls with plastic wrap and put in the freezer for 30 minutes. In the meantime, melt the 1/3-1/2 cup chocolate chips in a microwave safe bowl. Drizzle or dunk the cookie dough balls in the chocolate. 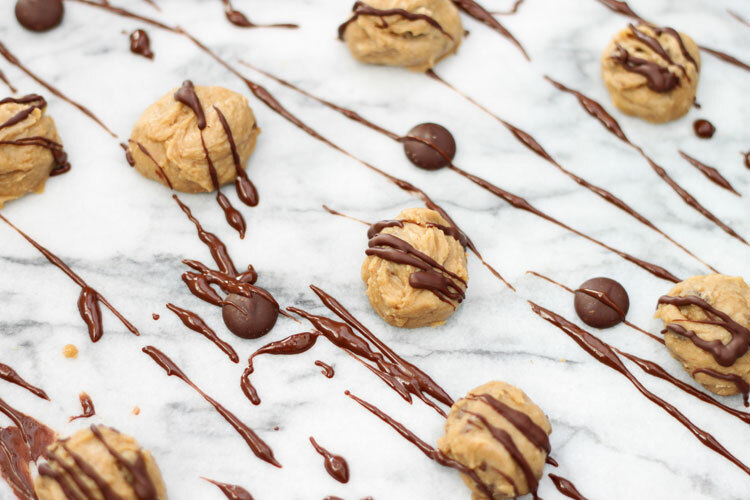 Store the cookie dough truffles in an air tight container in the refrigerator or freezer. 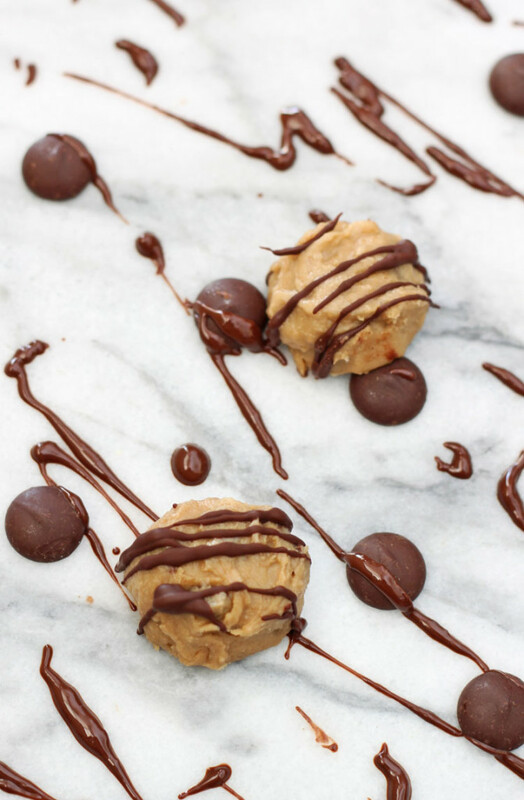 This recipe was slightly adapted from Chocolate Covered Katie's Chocolate Chip Cookie Dough Truffles recipe .